Consumer Perception is a theory of marketing that tries to explain the consumer’s motivation for buying—or not buying—certain products or even a just a specific brand of goods. In today’s economy, the competition is getting thicker. This makes it harder for a company to differentiate themselves from the competition. So, many companies use this theory of Consumer Perception to find out how consumers perceive their brand of goods. Naturally, there are two questions a consumer asks before purchasing a specific brand of goods: “Will this product benefit myself in anyway?” and “Is this price fair for this product or brand?”. Many companies start their products with a low price. This grabs the consumer’s attention. Then many companies, once they have the attention of consumer, will then raise their prices to benefit them. It is also important for a company to grab the consumer’s attention through design. The design of the product is important to grab the consumer’s attention and to leave an impression in their mind. At AlphaDawn we’re experts in understanding consumer perception. 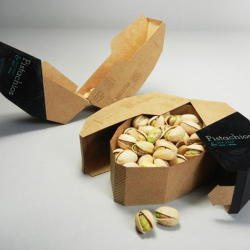 We can gauge consumer perception about an existing product and can can fine tune your product packaging, whether physical or abstract. You can also partner with us to optimize your ROI on new launches by finding the right mix or product and price. Contact us today to to better understand what gaps there are in how you want your product to be perceived versus how it actually is. If you’re interested, drop us a line at truthtoldwell@alphadawn.com.